We like to take the high road, so we won't bash other shoes. 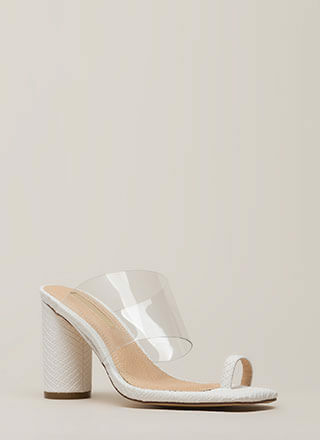 But this heel is definitely one of our faves! 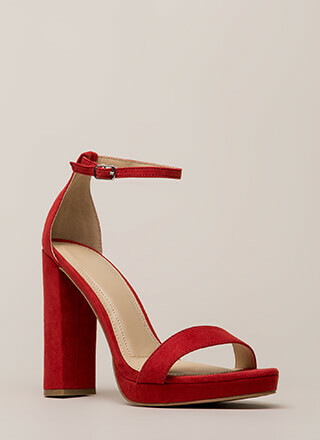 Open-toe vegan nubuck heels feature a wide scooped toe strap, crisscrossing vamp straps, an adjustable buckle at the ankle, and a one-piece platform and chunky heel. Shoes are finished with an exposed heel and a ridged sole.